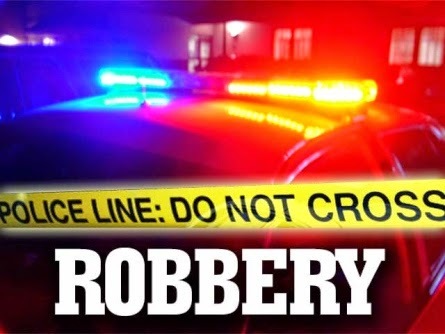 On December 18th, 2016, at 7:56 am, Galloway Police Officers responded to Tri-Way Motel (248 E. White Horse Pike) for the report of an armed robbery in progress. Upon arrival, patrol learned that two males had entered the lobby wearing white plastic face masks. One held a tire iron and the other brandished a rifle. The suspects assaulted the owner/manager and stole items prior to fleeing. A short time later Patrol located a suspicious vehicle, approximately one block away, in the area of E. White Horse Pike and 6th Avenue which was occupied by a male and a female. A second male was observed re-entering the vehicle as the officer approached. The vehicle displayed a fictitious license plate and all exterior factory markings were covered with duct tape. While speaking with the occupants, patrol observed one of the white masks used in the robbery sticking out from under the driver’s seat. All occupants were detained at that time. A later search of the vehicle revealed the other white mask, latex gloves, a tire iron, and items stolen from the Tri-Way motel. The rifle was recovered a short distance from the vehicle, near where the second male had walked from. The firearm, suspect clothing, and other items recovered from inside the vehicle all matched what was observed on security camera footage provided by Tri-Way Motel. The firearm is an AMD-65 AK-47 Semi Automatic Rifle 7.62x39, manufactured by KBI. The firearm also had a 30 round high capacity magazine, however it contained no bullets at the time it was recovered. Honorable Howard Freed set bail at $250,000 full cash, and both Lynch and Heath were lodged in Atlantic County Justice Facility. Rohit Surti, of Tri-Way Motel was treated on scene for non-life threatening injuries he sustained during the robbery.